When Flash Plus 2 arrived on the scene, we got heads turning. But who’s ready for something that pushes the regular further forward than ever? From Indonesia, to Malaysia, up to Thailand and east to the Philippines and Vietnam, the Flash Plus 2 has been making its incredible mark with features like the Fingerprint Scanner, high-quality audio capabilities and premium camera functions. In keeping with the huge demand for the phone that’s sweeping the region, get ready for July 5 as Flash launch its 4th Flash Sale for all those who still haven’t had the chance to get their hands on this groundbreaking device. Its previous sales have sold out within 1 hour; with Indonesia selling over 1000 units within 30 seconds, so act now you so you don’t miss out on the phone everybody is talking about! 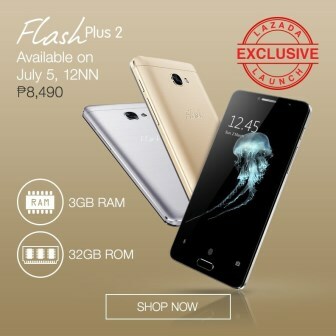 The Flash Plus 2 3GB will be offered during Lazada’s Best Brands Sale. Selling price is at Php 8,490. Both Luna Silver and Venus Gold will be available.